Biodun Abudu ‘s new book is based on a true life story as ittouches on forbidden topics that are swept under the rug and are hidden in the dark with the cruel intentions to silence an individual with fear. There are so many things within our homes and our communities that need to be discussed amongst ourselves and his book opens the avenue to have or begin these conversations. Abudu’s new book, Stolen Sanity, is now available on Amazon and soon to be at Barnes and Noble. Biodun Abudu, also an artist, is known for his previous novel titled “Tales of My Skin”.His writing is non fiction and focuses on true life stories. 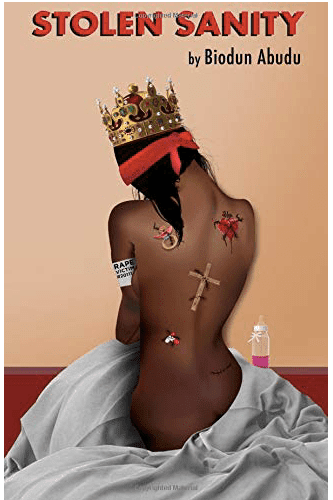 When he is not writing he iscreating bold pieces that start conversations as with his popular piece titled “Her Last Supper”, recently showcased at Tsion Cafe in Harlem. Author Biodun Abudu released his second novel on Saturday, March 9th 2019. He had a book signing and launch in Manhattan, New York at the Shetler Studios & Theaters. With about 65 guests in attendance it was a successful independent book launch.